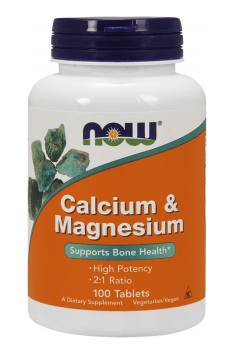 Calcium & Magnesium 100 tab. One tablet twice a day during or after a meal. Application may be combined with the formulations of vitamin D and vitamin K for the prevention of bone disorders. It is important to choose a supplement, wherein the ratio of calcium, magnesium is 2: 1. This comprehensive vitamin K formula promotes both bone and arterial health.